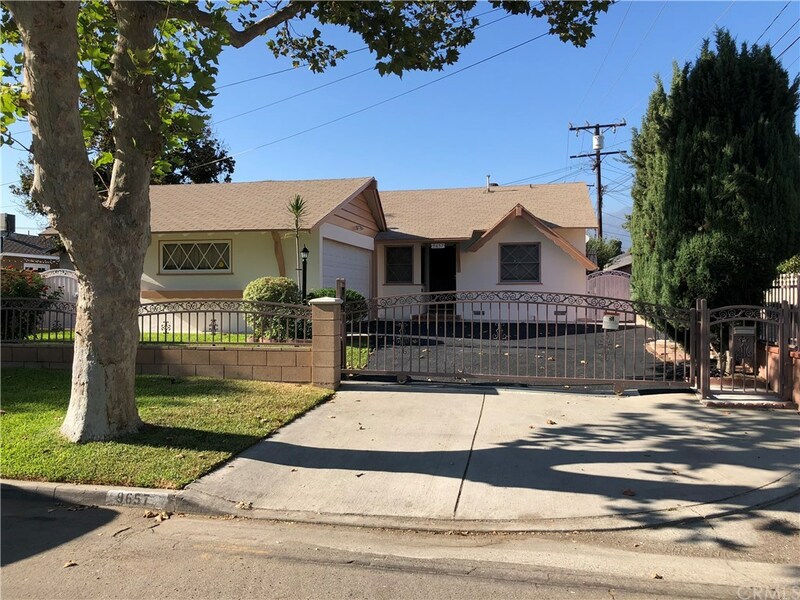 This south facing property is located in a quiet street, but close to Temple City business center, walking distance to restaurants, banks, library and park. There are 3 bedrooms and 2 bathrooms, gray laminated wood floor throughout all rooms except bathrooms, kitchen floor with new tiles. Central air conditioning and alarm system. Front entrance with automatic gate and good size backyard with L shape patio.